New Hampshire angler Jon Field had a great couple of days with me recently chasing redfish in Matlacha Pass. We had perfect tailing conditions for the first hour of each morning which is when throwing a fly works best. When it's especially calm I really like using deer hair patterns because they land so quietly and that's what this particular fish ate. This was a perfect 25 inch red and was Jon's first on fly. He also landed half a dozen others, including two over 30 inches, using Zara Spooks. 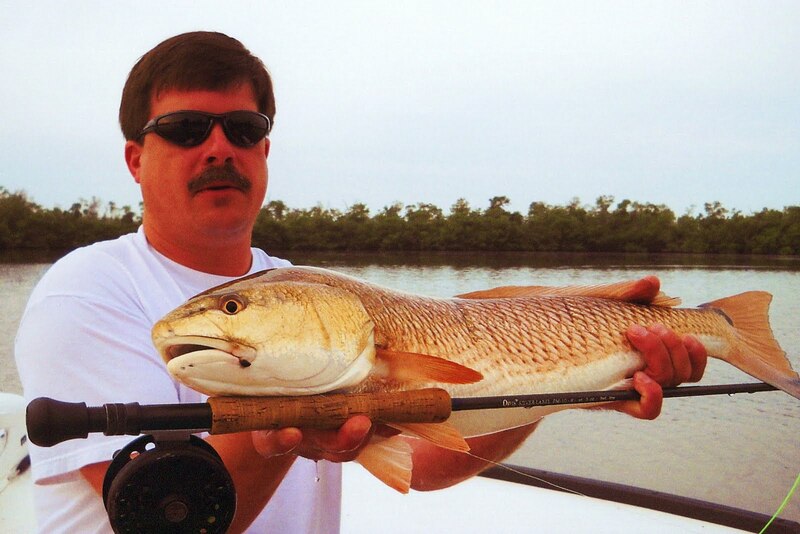 The redfishing here in Matlacha Pass and Pine Island Sound is off the hook right now. I've come across a couple schools this week that had over a hundred fish each in them. That's something we don't usually see until the end of summer and early fall. If you can pull yourself away from the tarpon fishing hooking a big red should be no problem.